Another rainy day in paradise complete with thunder that just about makes you jump out of your skin. Hurricanes are swirling around Puerto Rico so its time to get out the lanterns, replenish the water supply and cook up some staples. The Western side of Puerto Rico will probably just get the tail winds but it’s still a bit unnerving. Comfort food is the ticket to soothe those frazzled nerves. 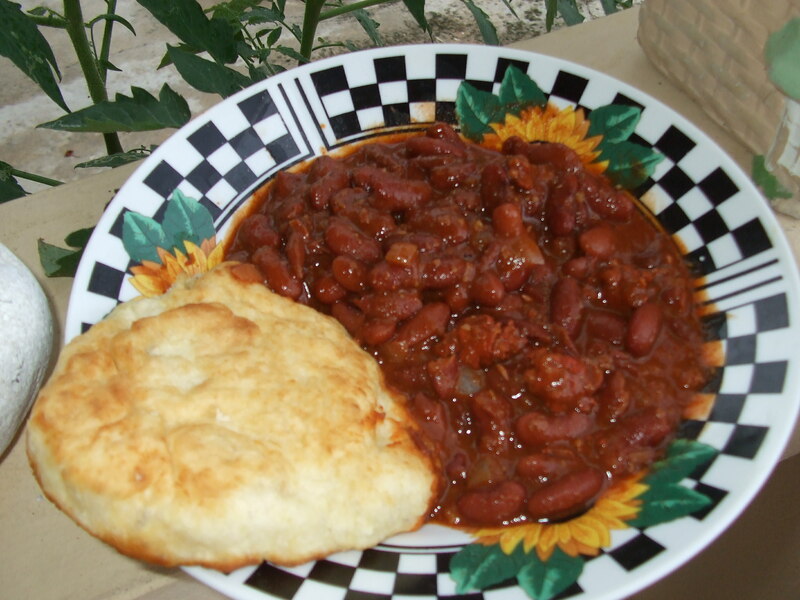 This chili is made with locally made chorizo sausage, 3 kinds of mild chilies and red beans. Make it as spicy hot as you like with jalapeno, habanera or cayenne but if you like your chili mild just use chili powder. In any case, it really goes down easy with Navajo fried bread…crispy on the outside and tender on the inside. Whether you use the fried bread for a scoop or pile the chili on the bread and top it with lettuce, cheese and guacamole it is to die for. You can also split it open and fill the pocket with taco ingredients or honey and butter. Yes, fried bread is just as good as a sweet pastry as it is a vehicle for savory bites. Try it with fresh strawberries and whipped cream – WOW! This simple recipe is from runnyrunny999 on YouTube. Its just 3 ingredients all of which I had on hand and thought it would be a good way to use up my last jar of homemade marmalade and a few chicken tenders. The teri is the shine and the yaki is the grilling and hence teriyaki is barbequed chicken but for a quick preparation you can do this in a non-stick skillet in about 15 minutes. 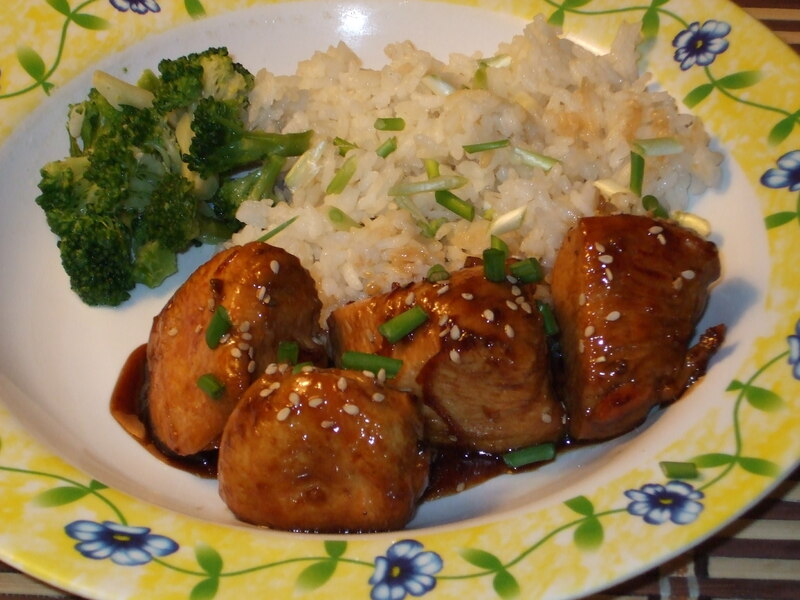 Its caramelized sweet soy and tangy orange glazed chicken without all the basting and waiting. Garnish with toasted sesame seeds and scallions. Serve with jasmine rice and your fav veggie. Salt and pepper chicken and heat 1 Tbsp vegetable oil in a non-stick skillet over medium high heat. Saute chicken until lightly browned on all sides. Remove chicken to a plate. Add soy sauce and marmalade to the center of the pan and stir until smooth. Cook sauce until it thickens and add back the chicken. Continue cooking and turning the chicken pieces in the sauce until the chicken is done and the glaze is shiny.